Welcome! 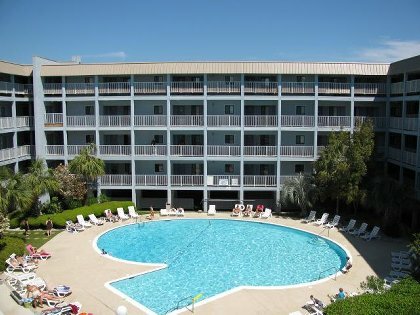 Searching for an affordable condo rental on Hilton Head Island ($500-$750 per week)? If so, plan to stay in one of our Hilton Head Condo rentals on your next family vacation, weekend getaway, or golf trip at the Hilton Head Resort. Take advantage of the beautiful beaches, shopping, restaurants, and challenging golf courses on Hilton Head Island while staying in a beautiful condo that offers all the comforts of home. Living Room with sleeper sofa and Love Seat, 32 inch flat screen, and DVD player. Enjoy your meals in the Dinning area. Guest Bedroom features a Twin/Full Bunk Bed and Twin Bed and TV. Building 1 Pool is one floor from this condo. The island deli is located in this area that offers convenience store items, great restaurant (and prices) and drinks. Gorgeous Boardwalk leading to the beach. Coco's is located at the end and has food, drink, and bathrooms. The Beach at the end of the Boardwalk is our Best Amenity. 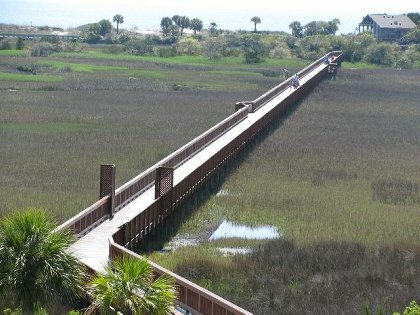 You will enjoy spending time with your family and friends on the beautiful beaches of Hilton Head Island. Additional Fees: Cleaning Fee $75.00 and 10% tax. Deposit: A $200.00 deposit is required to hold your week. This applies to your total bill and the balance is due 30 days before your arrival date. Cancellations and Refunds: You must cancel 30 days prior to your arrival date for a full refund.